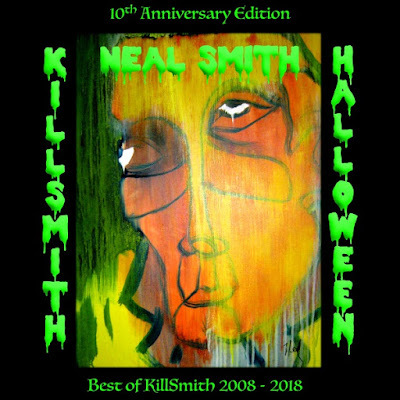 DRUM LEGEND NEIL SMITH: NEW GREATEST HITS RELEASE KILLSMITH: HALLOWEEN! 2018 not only marks the golden 50th anniversary of the original Alice Cooper Group, but it also marks the 10th anniversary of my “KillSmith” solo project. Since my last solo album “KillSmith & The Greenfire Empire,” I have been wanting to put together a compilation CD of my scariest and best “KillSmith” songs. Neal Smith is best known worldwide for his innovative drumming and outrageous stage antics with the original Alice Cooper Group. His solid drumming is the hallmark sound behind such classic 1970's Alice Cooper hits as “School's Out,” “I'm Eighteen,” “Billion Dollar Babies” and “No More Mr. Nice Guy.” Neal is also a prolific songwriter, who helped pen many of the group's best known songs. Alice Cooper was the first band to introduce theatrics to the rock and roll stage, the group has sold over 25 million records worldwide. 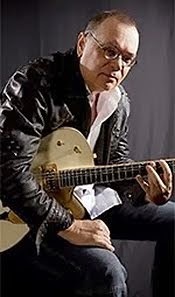 Neal has six gold and five platinum records to his credit and has performed before millions on extensive grand world tours from the late 1970's to the present. And Neal's most recent critically acclaimed solo project KillSmith. 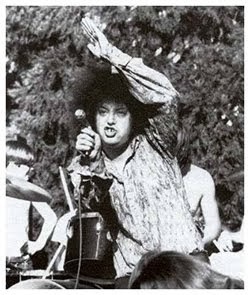 Neal's KillSmith CD's “Sexual Savior,” “KillSmith Two” and “KillSmith & The Greenfire Empire,” garnered praise from fans and critics worldwide. The musicians who collaborated in the process are as diverse as one could expect from DJ Logic to Jorma Kaukonen of Hot Tuna who said “Skoota Warner is one of the very best rock drummers I have ever worked with, and I’ve worked with plenty over the last 50 years. Whether Skoota is behind the kit or in front of the band… quite simply, he gets it done… every time! 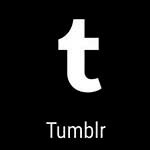 That’s right… every time! It was an honor for him to ask me to play on his session. I’ll do it again any time!" Recorded at OWG Studio and Home Studios in New York City , ‘Vignettes’ is a collection of songs that Skoota describes as an eclectic mix of rhythms and genres of music that have greatly influenced him: “It’s a labor of love composed of snippets of everything I love.” A truly collaborative effort with a diverse group of guests, the album was created both via file sharing and live in the studio. 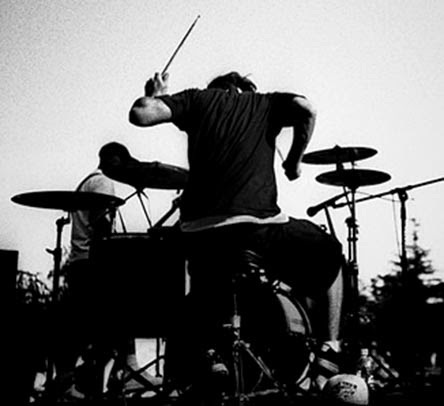 After high school Skoota moved to New York City to chase his drumming dreams. He started out as a street musician playing for tips in front of The Plaza Hotel. 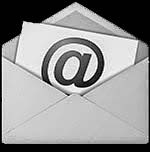 Here, he caught the attention of Pepeu Gomes and Baby Consuelo, Brazil’s top pop artists. At only 18, Skoota left for Brazil where he played gigs with Pepeu and recorded several albums. After two years, he returned to New York, sharp from his South American experiences, landing him gigs with blues musicians Johnny Copeland and Johnny Johnson as well as joining the house band for the famed Apollo Theater’s Amateur Night; backing up R & B, Funk, and Hip-Hop talents such as Keith Sweat, Big Daddy Kane, Biz Markie, Doug E. Fresh, and Special Ed. Skoota became known for his impromptu breakbeat rhythms on stage. In 1996 Skoota released his first solo record 'NGA Style' on Popular/Radikal Records which charted on Billboard's Hot Rap Singles. The same year, he and three other friends formed the band Ra, an alternative metal band that saw success with the release of their first EP after WAAF in Boston championed the band by putting their track Do You Call My Name into heavy rotation. 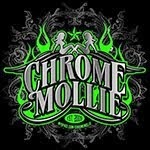 This led to their debut album for Univeral Records 'From One' getting to #14 on the Billboard 200 in 2003. 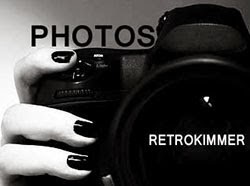 Since the nineties, Skoota has played for some of the hottest artists of all time - Santana, The B’52's,Lionel Richie, Cyndi Lauper, Mary J. Blige, Patrick Stump, the Brecker Brothers, Matisyahu,Yerba Buena and Philippe Saisse. He was also a member of Dave Koz & The Kozmos, the house band for The Emeril Lagasse Show. 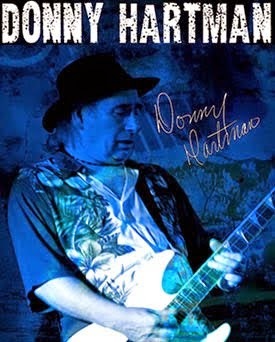 In 2009, he began touring with Jefferson Airplane founding members, Rock and Roll Hall of Fame guitarist Jorma Kaukonen and bassist Jack Casady of Hot Tuna fame and also currently plays in Cyndi Lauper's band. Why such a long wait to make another solo album? Skoota explains: "I write music all the time and really missed recording and producing my own songs. I’ve experienced a lot personally and musically over the past twenty years and felt the time was right to put out another CD. Getting to work with my very talented friends was fantastic and made the project come to life." 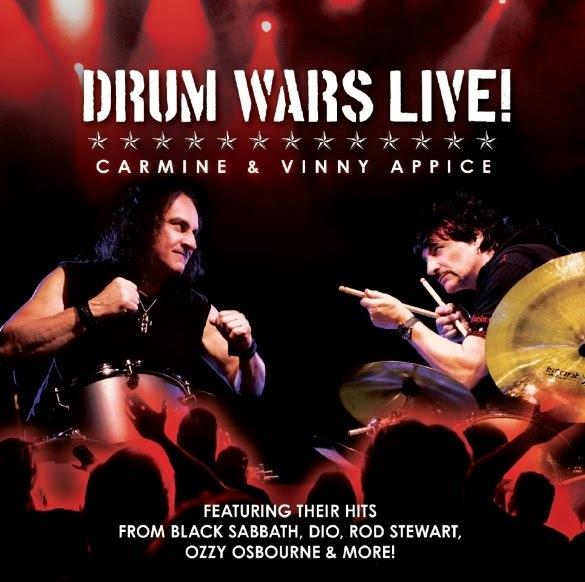 CARMINE AND VINNY APPICE: DRUM WARS LIVE! Los Angeles, CA - Drummers and music fans worldwide are buzzing with excitement about the new live CD track and music video by drum legends, brothers, Carmine & Vinny Appice, titled “Stand Up And Shout!” Drumming demi-gods Carmine & Vinny Appice have both had extraordinary careers behind the drum kit, beginning with Carmine’s tenure in such legendary classic rock bands as Vanilla Fudge and Cactus as well as supporting stints with Rod Stewart and Ozzy Osbourne. Meanwhile, younger brother Vinny made his name as a metal drummer for monster acts such as Dio, Black Sabbath and Heaven & Hell. Recently, these two drum virtuosos have been wowing audiences with their own rock show called “Drum Wars”, featuring not only the hits of their associated bands but also a thrilling series of solos that pit them against each other like the Gene Krupa/Buddy Rich drum battles of yore. Fortunately for us mere mortals, this unique concert experience was recorded in June 2014 at the Iridium in New York and is now available on CD courtesy of Deadline Music and Rocker Records. Along with Carmine and Vinny, the 'Drum Wars Live' CD features Jim Crean, Ethan Brosh and James Caputo! 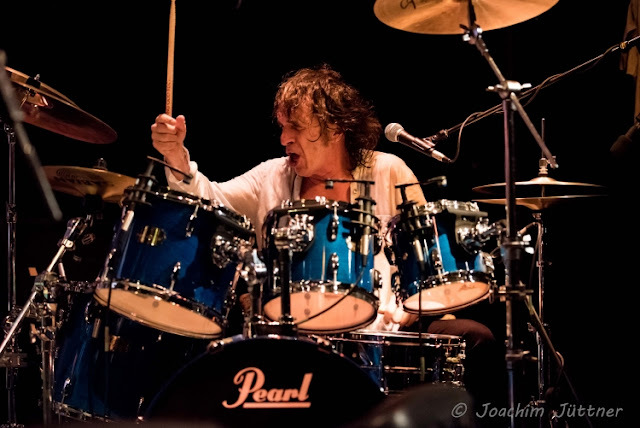 Los Angeles, CA - Drumming demi-gods Carmine & Vinny Appice have both had extraordinary careers behind the drum kit, beginning with Carmine’s tenure in such legendary classic rock bands as Vanilla Fudge and Cactus as well as supporting stints with Rod Stewart and Ozzy Osbourne. Meanwhile, younger brother Vinny made his name as a metal drummer for monster acts such as Dio, Black Sabbath and Heaven & Hell. Recently, these two virtuosos have been wowing audiences with their own rock show called “Drum Wars,” featuring not only the hits of their associated bands but also a thrilling series of solos that pit them against each other like the Gene Krupa/Buddy Rich drum battles of yore. Fortunately for us mere mortals, this unique concert experience was recorded in June of this year at the Iridium in New York and is now available on CD courtesy of Deadline Music and Rocker Records. 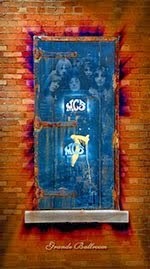 ALICE COOPER DRUMMER NEAL SMITH HAS A NEW RELEASE! Westport, CT – From Rock and Roll Hall Of Fame drummer, song writer and founding Alice Cooper band member, comes his latest killer album. 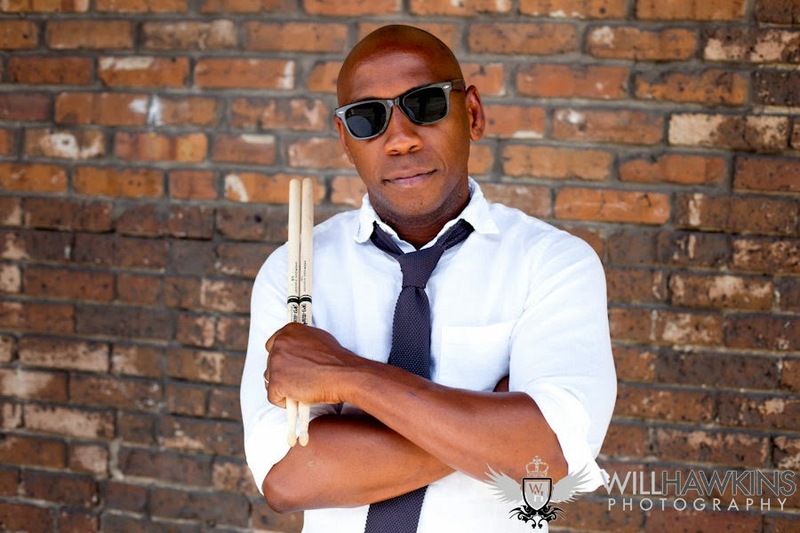 Neal’s most recent album, the third in his critically acclaimed solo project KillSmith series that has garnered praise from fans and critics worldwide. And now, Neal takes his ferocious brand of rock and roll to another level! 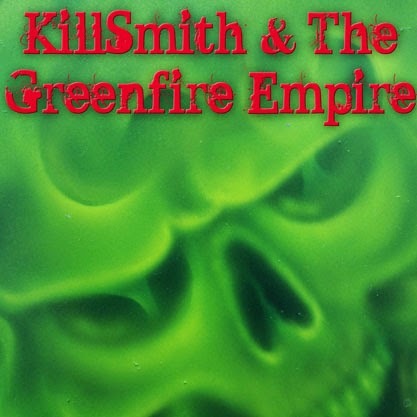 This time “KillSmith & The GreenFire Empire” weaves a tapestry of musical styles to tell the “GreenFire” story along with a little help from his friends. Is this conceptual heavy metal adventure, being dubbed the last Rock Opera, destined to become a movie? The story of a poor boy who grows up in the jungles of South America, then becomes “Diablos the Emerald King” the most ruthless, furious and powerful drug lord in the world. As a young boy Diablos discovers an ancient secret that has been hidden for thousands of years in pre-Columbian jungle ruins. The secret he discovers is an ancient sacrificial drug called “GreenFire.” As GreenFire’s deadly addiction spreads like wildfire around the globe, it reaches a country called “Blue Soul Land.” The havoc it creates in “Blue Soul Land” and with grave consequences it unleashes the rage of a retired Special Ops Military hero who’s nicknamed “KillSmith.” “GreenFire Born Of Poison” is the first single off of the album. Says Neal, “My newest album/CD "KillSmith & The GreenFire empire" is my first concept album since the glory gory days of the band “Alice Cooper.” It’s a story of a poor boy who grows up in the jungles of South America, then becomes “Diablos the Emerald King” the most ruthless, ferocious and powerful drug lord in the world. As a young boy Diablos discovers an ancient secret that has been hidden for thousands of years in pre-Columbian jungle ruins. 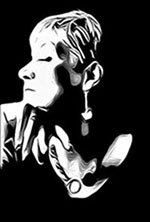 KillSmith & The GreenFire Empire features: Neal Smith, lead vocals, backing vocals, drums, percussion, rhythm guitar and synthesizer. 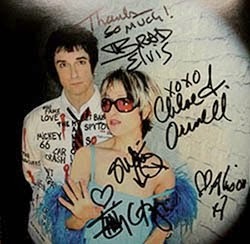 Peter Catucci, bass guitar, backing vocals and lead vocals on “Noelle No Wonder.” Very special guests performances by Lady Elizabeth Dellinger, backing vocals and intro lead vocals on “I Want Money.” Kevin Franklin, lead guitar. Pete “Keys” Hickey, synthesizer and keyboards. The amazing Hubert Martin lead vocals on “Good Morning Blue Soul Land.” Joe Meo, saxophone. Rick Tedesco, lead guitar, rhythm guitar and backing vocals. Doug Wahlberg, lead guitar. "In April of 2014 the documentary movie “Super Duper Alice Cooper” was premiered at the New York’s Tribeca Film Festival." 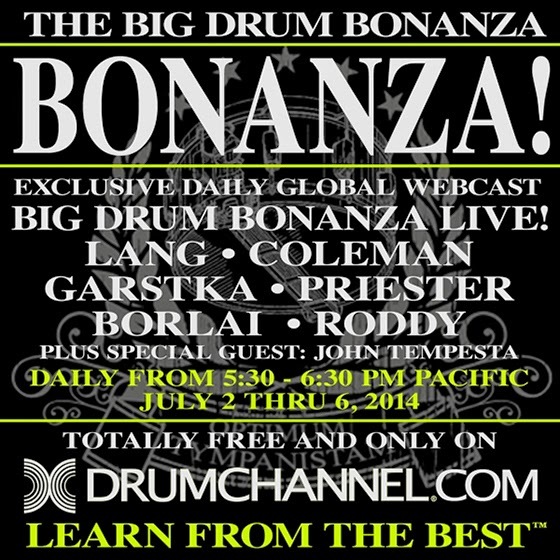 Oxnard, CA - Six of the world’s top drummers will be featured on DrumChannel.com’s live, daily webcasts of Thomas Lang’s “Big Drum Bonanza” drum camp from July 2-6 at 5:30 PM (Pacific Time). 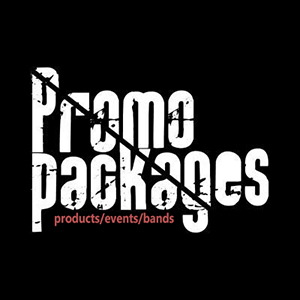 The free, hour-long shows— which can be accessed from computers and mobile devices virtually anywhere on the planet— will include appearances by Thomas Lang (stOrk), Chris Coleman (Prince), Matt Garstka (Animals As Leaders), Aquiles Priester (Hangar), Derek Roddy (Hate Eternal) and Gergo Borlai (Tribal Tech) as well as special guest John Tempesta (The Cult). Each show will offer a wrap-up of the day’s educational activities as well as discussions and performances by the all-star faculty. 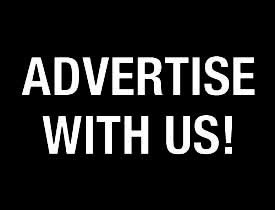 To celebrate the “Big Drum Bonanza”/Independence Day weekend, Drum Channel is also giving drummers a special, limited time opportunity to become members of the award-winning www.DrumChannel.com community. From July 1 through 7, unlimited access to hundreds of Drum Channel lessons and shows by drummers such as Thomas Lang, Gregg Bissonette, Terry Bozzio, Chad Smith, Stewart Copeland, Tony Royster, Jr., Peter Erskine, Dave Elitch, Luke Holland, Cobus Potgieter and many more is available for a full year at the reduced price of $49.90. The special “Big Drum Bonanza” deal not only provides 2 months of membership at no charge, it also includes a free $25 gift card good for downloads at Drum Channel’s online store. The gift card can be used independently or to augment Drum Channel’s online lessons with downloads of popular DVD content by Daniel Glass, Danny Seraphine, Buddy Rich, JR Robinson, Tony Royster, Jr. and Neil Peart, to name just a few. At John Bonham's Bonzo Bash By Kiss's Peter Criss! 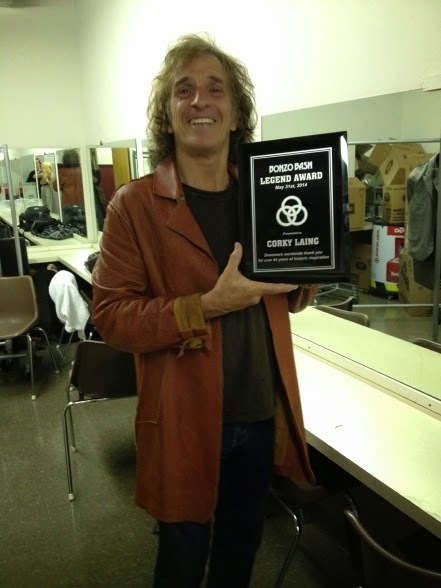 NYC - Much to the excitement of drummers worldwide, one of rock's icons, drum legend Corky Laing, recently received the prestigious 'Bonzo Bash Legend Award' at the Bergen PAC in New Jersey on May 31st. The award was presented by original Kiss drummer Peter Criss! 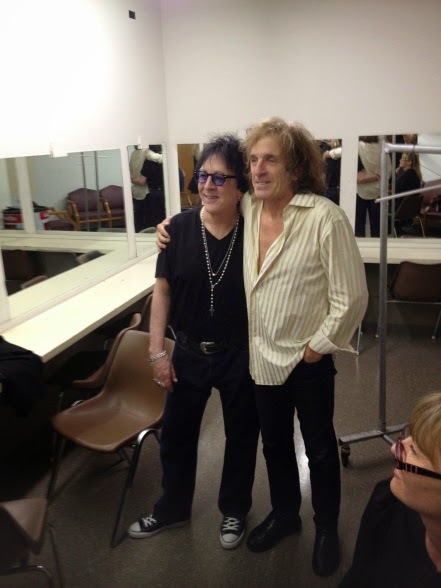 Corky says, “It was a tremendous honor and a total surprise when Peter Criss (from Kiss) presented the 'Legend Award' to me at the John Bonham 'Bonzo Bash'. And to receive the award in front of all these brilliant drummers was a real rush. 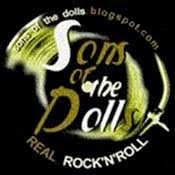 There seems to be a kind of 'magical crazy glue' that keeps the drumming community tightly wrapped. 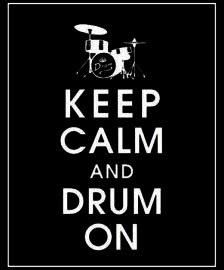 It's not like the 'Super Bowl of drumming', there is no competition. As well as Mountain, Laing has recorded with a long list of legendary artists including Eric Clapton, Mick Jagger, Bo Diddley and Ozzy Osbourne. 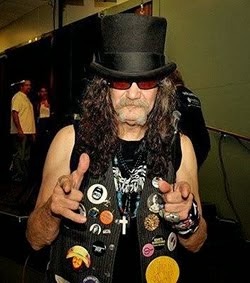 He has performed with Meat Loaf, Gov’t Mule, the Allman Brothers, Voivod, Teenage Head and dozens of others. And according to Modern Drummer magazine, Corky Laing “has done as much as anyone in Western culture to turn the cowbell into a rock ’n roll staple”. 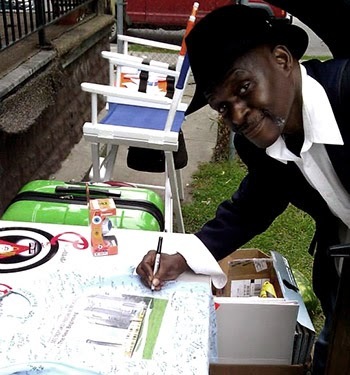 This prolific artist is busier than ever. His latest project, 'Playing God', a rock opera created with Matti Häyry and Tuija Takala from Finland, premiered in Basel, Switzerland, and Paris, France in 2013. 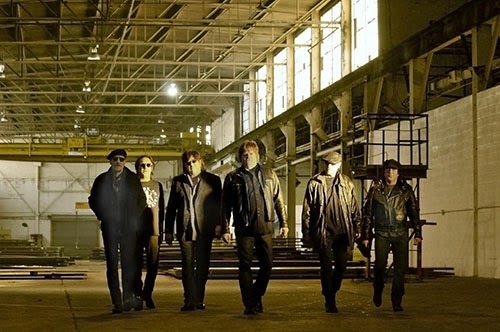 Recently, in the early spring of 2014, the rock opera was performed in Helsinki, Finland. Laing wrote the music for the album, and is the Musical Director in the stage performances where he also performs a key role, LUKE, who plays drums and sings. The 'Playing God' CD was released on GONZO Multimedia on July 15, 2013. Check out Corky's upcoming appearance! Corky Laing flies solo… recounting his rock ’n roll life in words and music. Montreal native Corky Laing, co-founder of iconic supergroups Mountain and West, Bruce & Laing, comes out from behind the drums and spills all about the Golden Age of Rock, which wasn’t always quite so golden… An era when rock stars were bigger than life, in spite of the fact that many of their lives spun out of control. Laing, who wrote the platinum-selling rock anthem, “Mississippi Queen”, chronicles his life from his innocent early days on the Montreal sock-hop circuit (Bartholomew Plus 3 and Energy) to the pinnacle of rock 'n roll. On June 27, 2014, Laing, whose skills on the skins are matched only by his wit and candour, will relate how he climbed up and fell down with some of the rock world's most prominent luminaries… but it's not all talk. 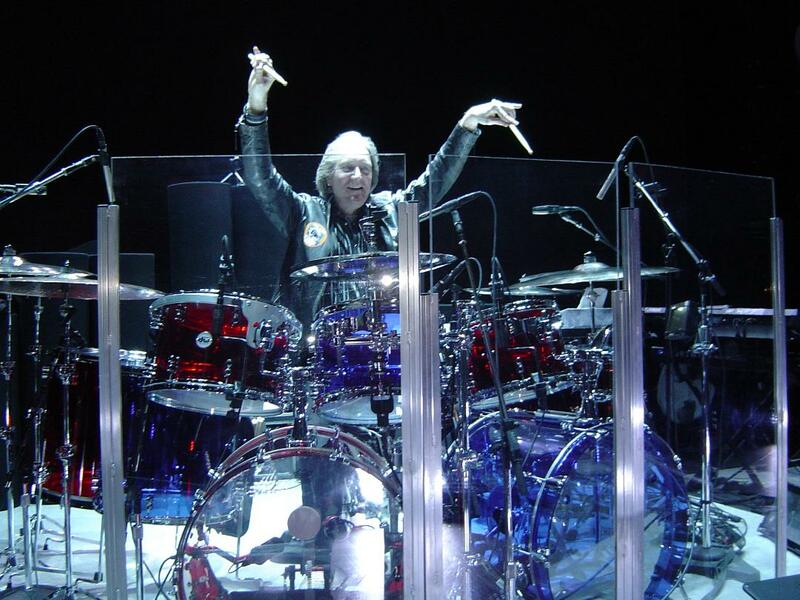 Corky will show us exactly how and why he is one of the most acclaimed drummers in the music business. And he took it all in from UNDER THE ROCK! 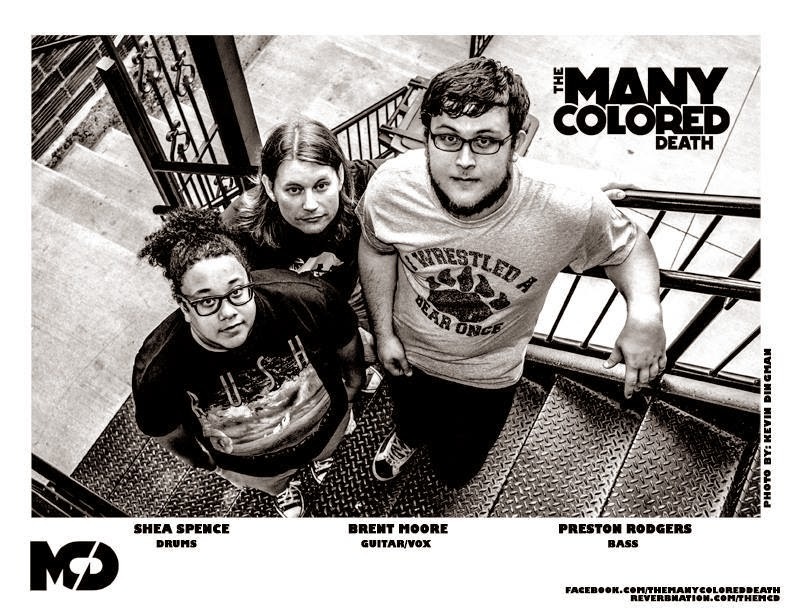 Shea Spence is a drummer in a hard rock band. 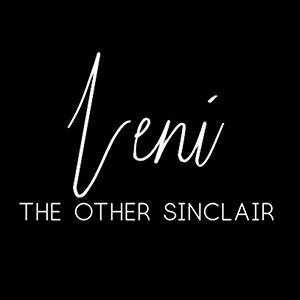 Her story is one of perseverance, dedication, and a desire to defy the stereotype of what a female in a modern rock band should look, act, and sound like. 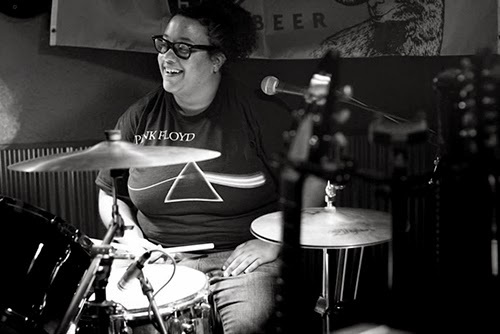 Her nickname is “The Thundercat” and it’s a title she earned by turning heads across the Midwest as one third of the power trio, The Many Colored Death. It happens every show. 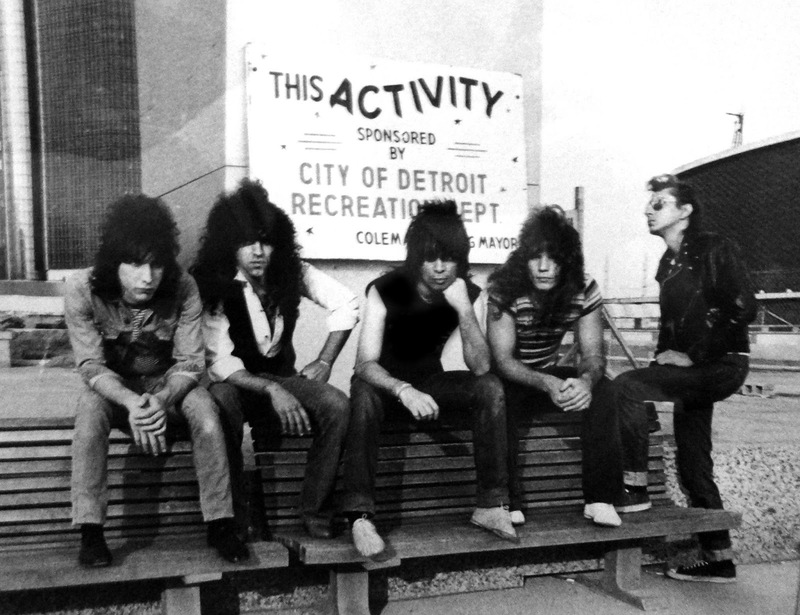 A band's only as good as its drummer..some of the very best in the world are from Detroit...Not in any particular order.. The legions of Detroit rock fans are overjoyed that The Rockets will be playing 4 new tunes, live at the Fillmore on December 28. Yes.. there have been some changes in the lineup. 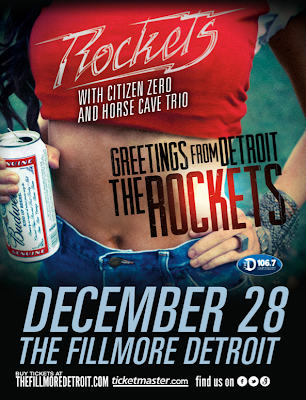 Live Nation presents The Rockets at The Filmore on Saturday Night December 28th. 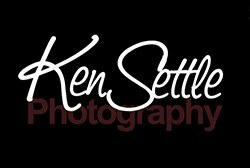 We haven't taken any promo shots yet because we've been so busy in the studio. This is the cover of our new four song EP Greetings From Detroit which will be put up on I-Tunes and Amazon and many other Internet sites with a week or so... stay tuned.. The band will be recording more songs and adding onto the tracks we already have. It's some smokin' hot Detroit Shimmy. 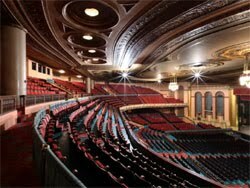 Live Nation will announce opening bands in the days to come. Mike Marshall (bass). Mike Marshall (bass) has lent his musical virtuosity to hundreds of recording sessions and toured with The Motor City Mutants, Torpedoes, Rob Tyner (MC5), Catfish Hodge, Johnny Bassett. 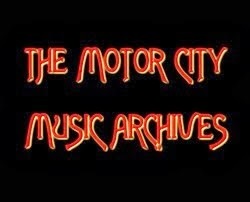 Joe Weaver, Alberta Adams, and many other Detroit acts. 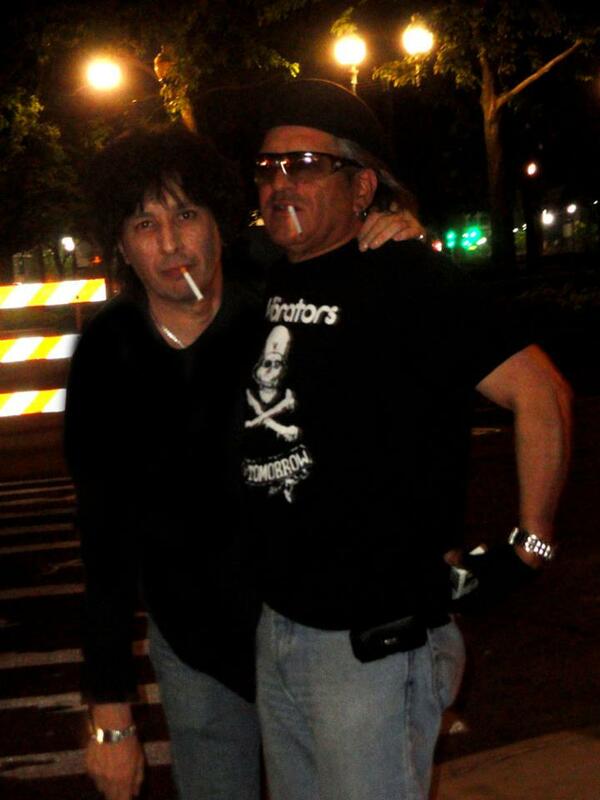 Phil “Greasy” Carlisi (guitar) Sirius Trixon & The Motor City Bad Boys, legendary Stooges' members Ron and Scott Asheton (Destroy All Monsters) and toured extensively in the States and abroad with rock-a-billy musician, Robert Gordon, and British guitarist, Chris Spedding. 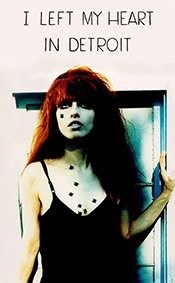 Carlisi has been a mainstay player in the Detroit music scene for over 35 years. 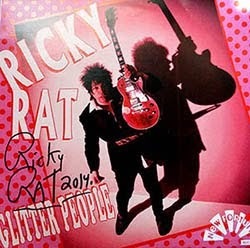 Joey Gaydos (lead guitar), also a Detroit music veteran, has played with rock heavies Rob Tyner (MC5), Cub Koda and the Points (Brownsville Station). Gaydos built a loyal Detroit fan base with his bands, Mugsy, and Weapons and has a reputation for his showmanship and incendiary lead guitar prowess in the Midwest. 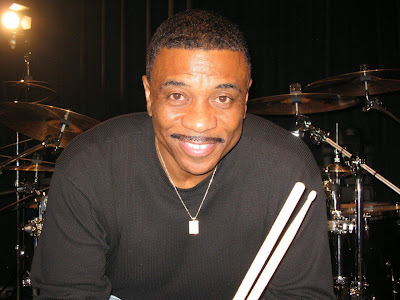 Today the music community lost a great soul in the form of Ricky Lawson. 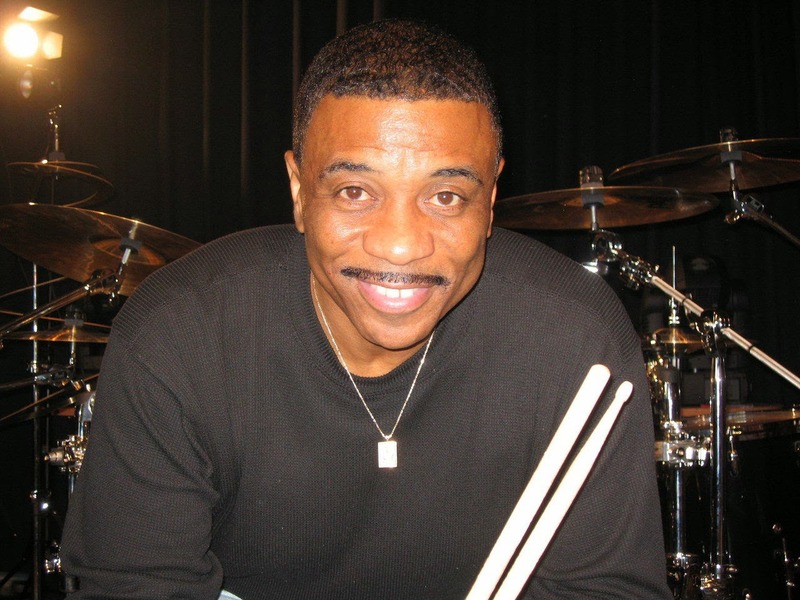 A native Detroiter, Ricky Lawson was an extraordinary drummer, always on the cutting edge, Ricky's performances were always mesmerizing. His list of who he has performed with reads, like a who's who of greatest music artists. I met Ricky while he was playing with Whitney Houston. 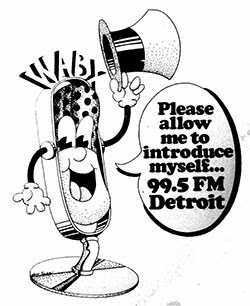 I had heard of him through the normal channels, all of us Detroit musicians are sorta privy to when one of us leave Detroit to wander the world. He was a founding member of The Yellowjackets, I was blessed to play with him on one of The Winans' tours. He has toured with Michael Jackson, Genesis,Steely Dan and countless others. I'm surely going to miss this young man as a dear friend and brother, and the world will miss the rhythm of his presence. David Winans II is the eldest son of the famed Gospel group the Winans family. 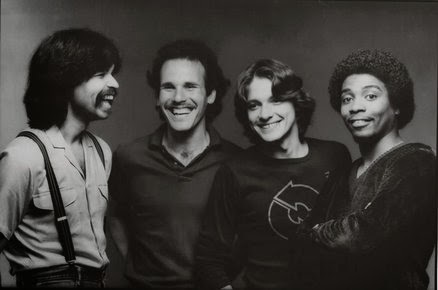 David is a well respected guitarist, composer, producer and was a close friend of Ricky Lawson.